The one-spotted variant (Hypagyrtis unipunctata), a very common moth in the Geometridae subfamily Ennominae in its early stages of life. The one-spotted variant (Hypagyrtis unipunctata), a very common moth in the Geometridae subfamily Ennominae in its cocoon. Carnegie Museum of Natural History’s Section of Invertebrate Zoology had a moth eclose earlier this month. The little caterpillar came in on the oak leaves that staff were feeding to other caterpillar cultures. It was identified as a one-spotted variant (Hypagyrtis unipunctata), a very common moth in the Geometridae subfamily Ennominae. 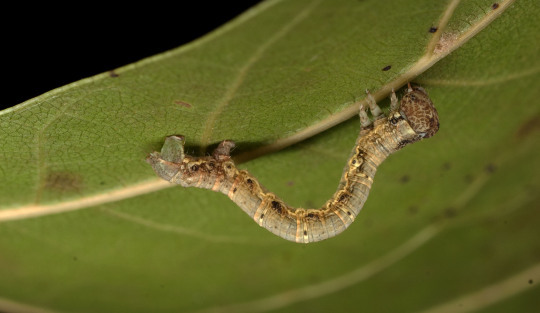 The pictures show its progress from an early instar caterpillar to an adult moth. 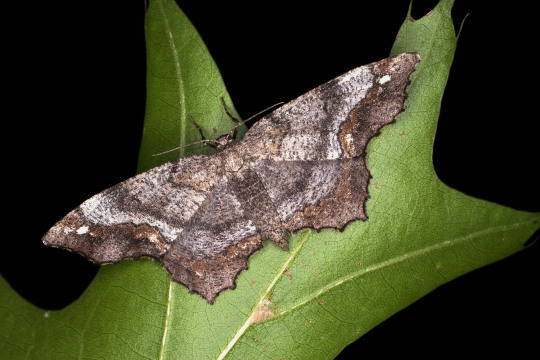 The one-spotted variant (Hypagyrtis unipunctata), a very common moth in the Geometridae subfamily Ennominae in its most developed stage of life. Vanessa Verdecia is a collection assistant in the museum’s Invertebrate Zoology Section. Museum employees are encouraged to blog about their unique experiences and knowledge gained from working at the museum.